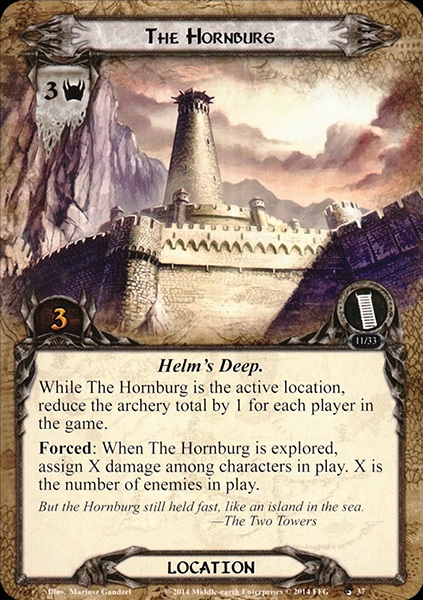 While The Hornburg is the active location, reduce the archery total by 1 for each player in the game. Forced: When The Hornburg is explored, assign X damage among characters in play. X is the number of enemies in play.